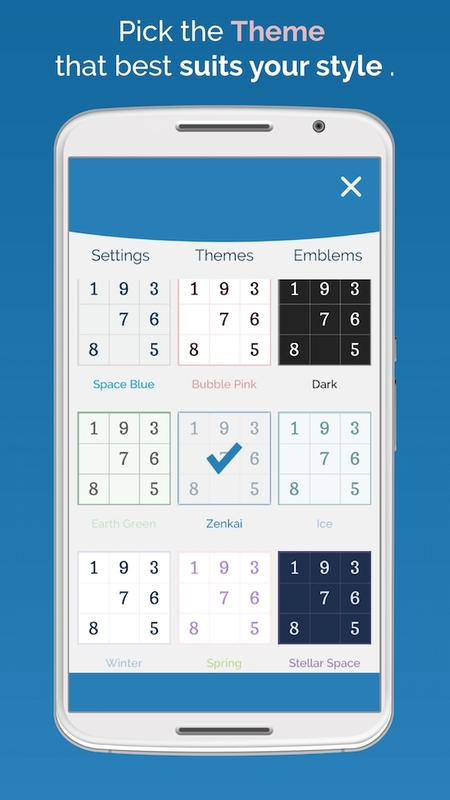 Invite a friend to help you solve a puzzle! Six difficulty levels, to match your skill level. Helping you getting past that hurdle. You can go back into the past where everything was ok! Pick the theme that best suits your style. Letters, greek, kanji and more! Because unlocking and comparing times is fun! 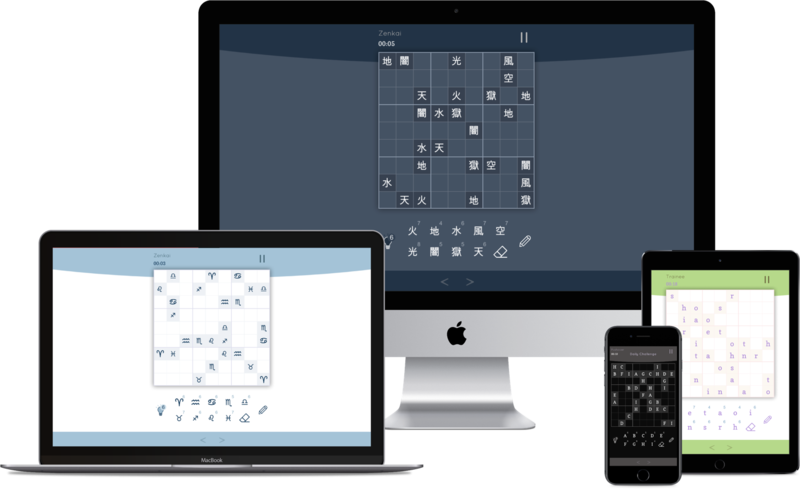 Each puzzle is generated in your device. Our game is frustration-free! If you don’t know how to proceed, use a hint and get past that hurdle. Made a mistake and don't know where? With last valid board you can get back into the past where everything was good! Error Highlighting to avoid repeating numbers in a row, column or square. 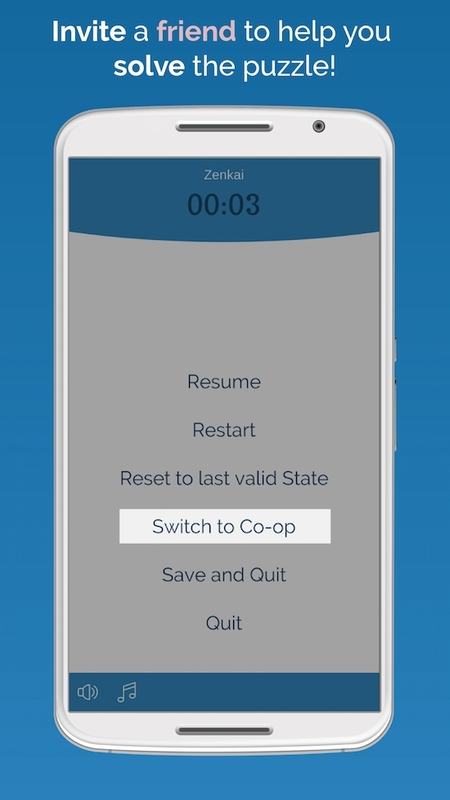 Play cooperatively with your friends! 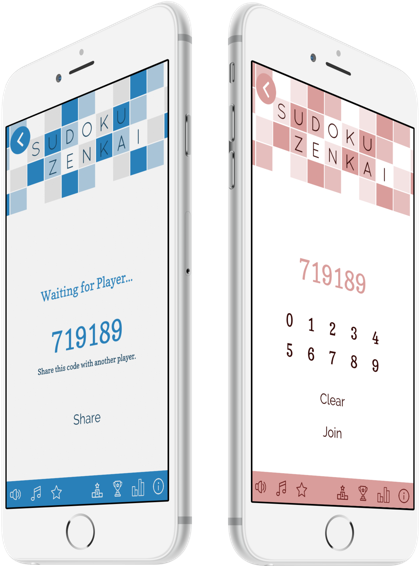 Sudoku Zenkai brings a new dimension to sudoku - you can solve puzzles with your friends, wherever they are! 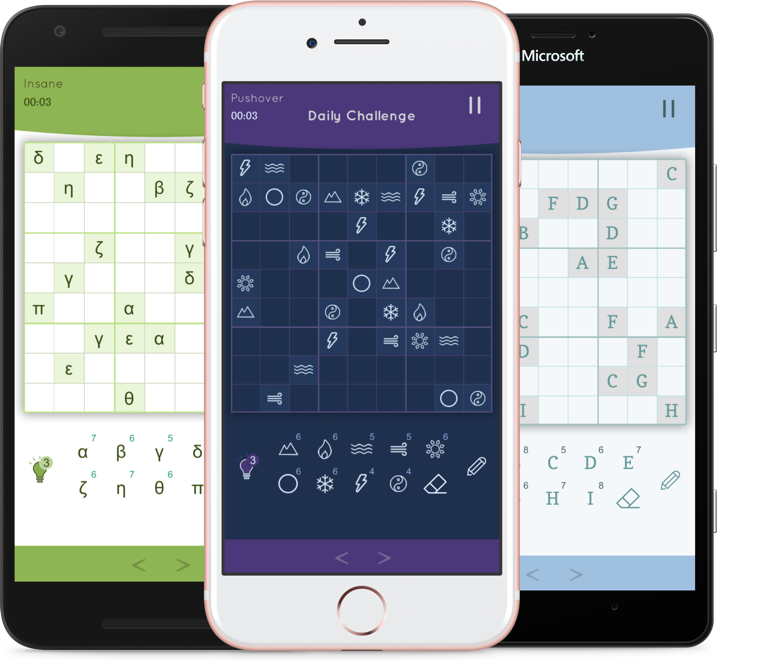 Invite a friend to help you out solving the puzzle! Start a new puzzle with a friend. Unlock specials achievements while playing with a friend. Share the results with your friends. Complete Daily Challenges and get unique achievements. 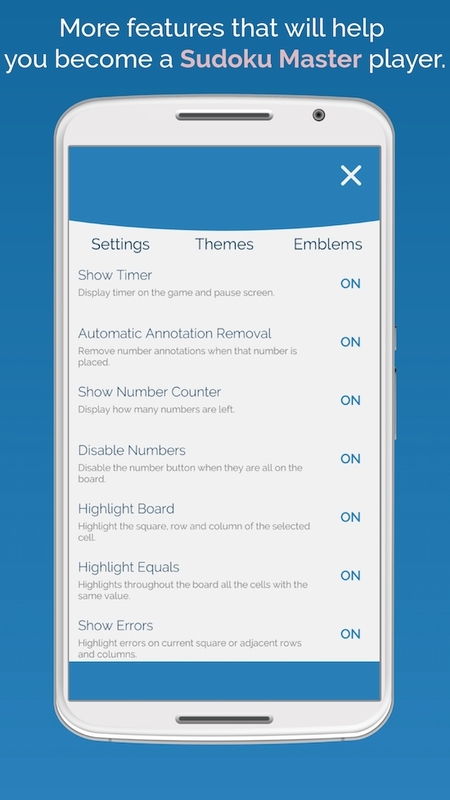 Tired of numbers? 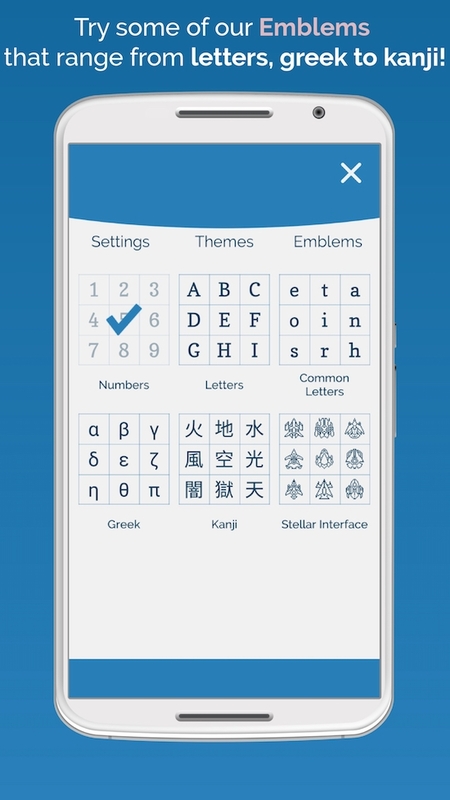 Try some of our emblems that range from letters, greek to kanji!. Because collecting stuff is fun! 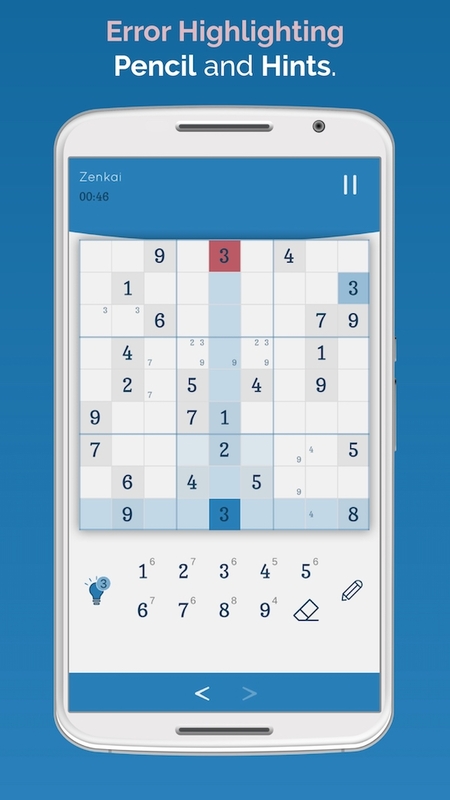 No matter how much you play there are always fresh and unique puzzles available. 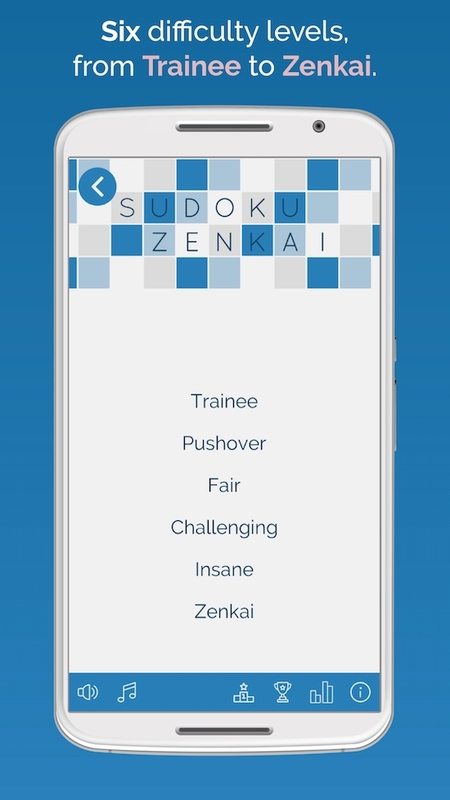 Six difficulty levels, from Trainee to Zenkai, ensuring that you will be able to find a puzzle that matches your skill level. Track your progress for each difficulty level: analyze your best time. 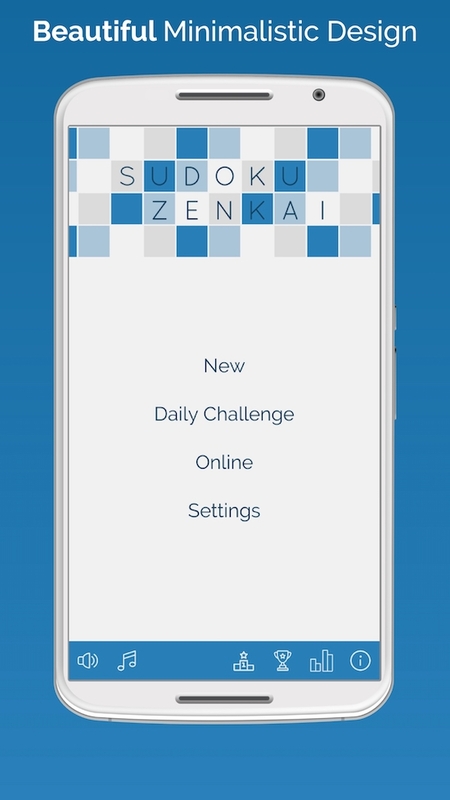 You can play Sudoku Zenkai any device, Mobile, Tablet, PC or Mac! 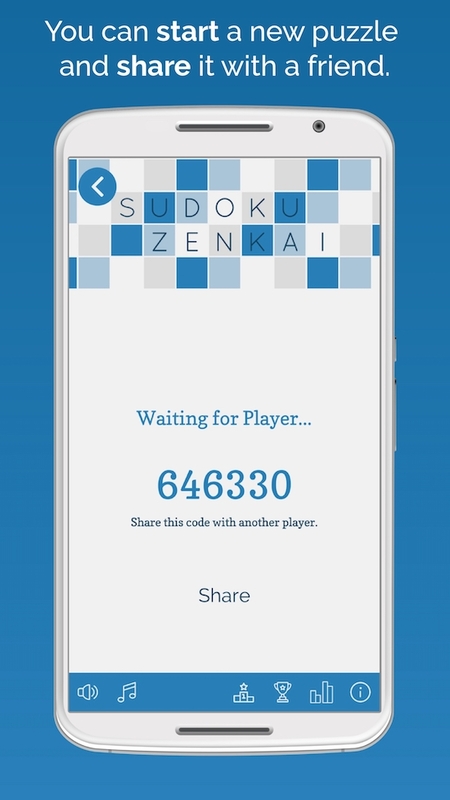 Subscribe for news and updates of Sudoku Zenkai and other ImaginationOverflow releases.